Masking tapes are used to protect some parts while other parts are sealed or coated. We supply the base sheet for the masking tape to many tape makers. 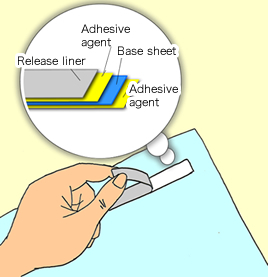 Double coated tape is used as stationery, but also used for building process of cars and some home appliances. 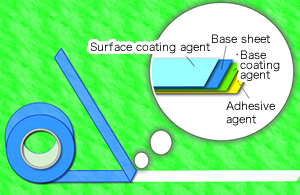 We supply the base sheets for double coated tape to many tape makers. 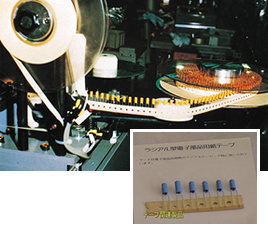 Our product is used in a process of production of electronics. From small parts to large parts, we supply the best adhesive tape for the lines. 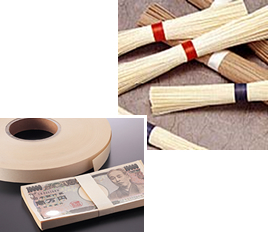 In our life, there are many kinds of paper bands; paper bands to band money, to band dry noodles. These paper bands have enough strength, but they are easy to tear (easy to cut). Our paper band products also have many features to fit the machines.